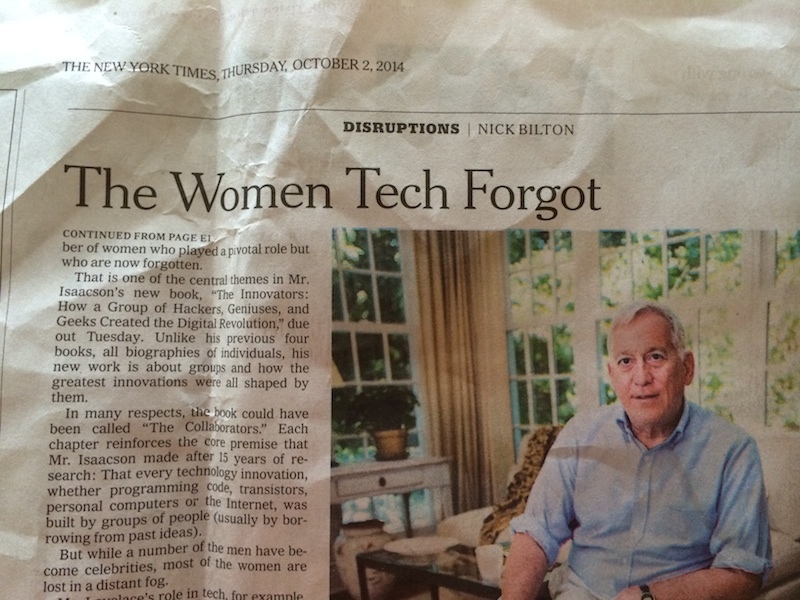 The New York Times published a relevant article about women in technology and how they were made invisible, which also made it impossible to have role models for young girls. “Ada Lovelace,” she replied. This was followed by a long, awkward silence. Mr. Isaacson, who was just beginning work on abiography of Steve Jobs, could not recall who Ms. Lovelace was.